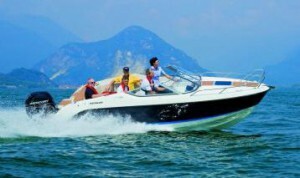 The Quicksilver team is absolutely delighted that the Activ 645 Cabin has received this prestigious award. This annual award is made by a specialist jury consisting of experts from Motor Boat & Yachting and Motor Boats Monthly magazines. The judges test all innovative products from the powerboat industry over the previous 12 months. Quicksilver Marketing Manager Fedra Generini described the design approach: “This boat has beautiful contemporary styling and offers real versatility and comfort as well as a great list of features that come as standard. And responding to our customer research, Safety has been designed in to key aspects of the boat”. The Quicksilver Activ 645 Cabin can be seen at Düsseldorf Boat show in Hall 9 from January 21-29 and at Big Blu in Rome from February 18-26. See our boat show calendar on the Quicksilver website www.quicksilver-boats.com to discover where our models can be seen during the year.